Much like its predecessors it is made out of stainless steel, is 510 threaded, and is 22 millimeters in diameter making it shiny, sturdy, and universally eye-catching. 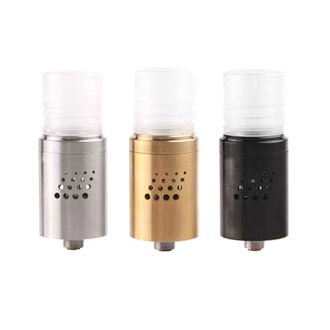 Staying very close to its roots it’s a three piece RDA atomizer and uses its air hole patterns for the air flow control. 3 screws, and a hex key.